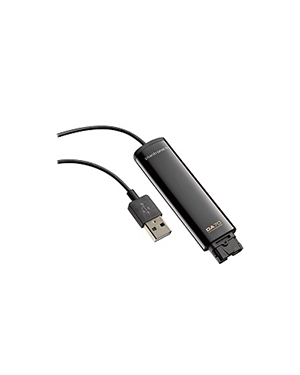 The Plantronics DA70 USB to QD Adaptor is a USB audio processor that users can connect to their analogue headsets using Quick Disconnect feature. It is ideal for offices and workspaces that would require connecting a single headset to PC IP phones and deskphones. It can also be perfect for call centres and large offices worrying about the affordability of the investments and equipment used in their operations. A high quality alternative to costly headset systems, this adaptor also helps in delivering excellent audio quality. 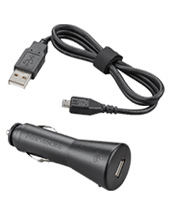 Plantronics DA70 USB to QD Adaptor helps users be able to meet Noise at Work or OSHA regulations. 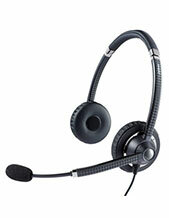 It is highly compatible to specific models of Plantronics headsets. Find out more information how to check out this item by calling our hotline: Australia wide 1300 131 133! Plantronics is a consumer electronics enterprise founded in 1961 and headquartered in Santa Cruz, California. Headed by President and CEO Job Burton, the company has approximately 5,000 employed experts all over the world. Plantronics started operating by focusing on developing and manufacturing lightweight headsets compared to the big, heavy, and bulky ones that are offered in the market in the 1960s. Courtney Graham, a United Airlines pilot, together with Ketih Larkin who is also a pilot, started out the development of the lightweight headsets and in the process the establishment of the company, which was then known as Pacific Plantronics. Headsetsonline Pty Ltd is an Australian enterprise popular for wholesaling and supplying audio and sound products and solutions. Considered a new division under a reliable and top-notch enterprise known for delivering quality headsets to government agencies and corporations sectors since the year 1998, the company offers high quality products and solutions sourced from Australian distributors and not grey imports. These products and solutions are ensured to be Australian standards certified with warranties covered all over the country. 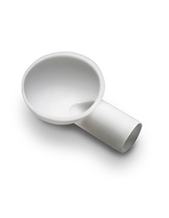 In addition to these products and solutions, the company also provides guaranteed quality services. Headsetsonline has a secured and enterprise-encrypted site, Headsetsonline.com.au, using green URL address bard HTTPS and GeoTrust True Business ID with Extended Validation. This site is also integrated with the same secured logins that banks use for protection, including the 256-bit identity authentication and 2048-bit root encryption. The combined power of these elements is able to guarantee customers that their information are protected when they continue shopping.